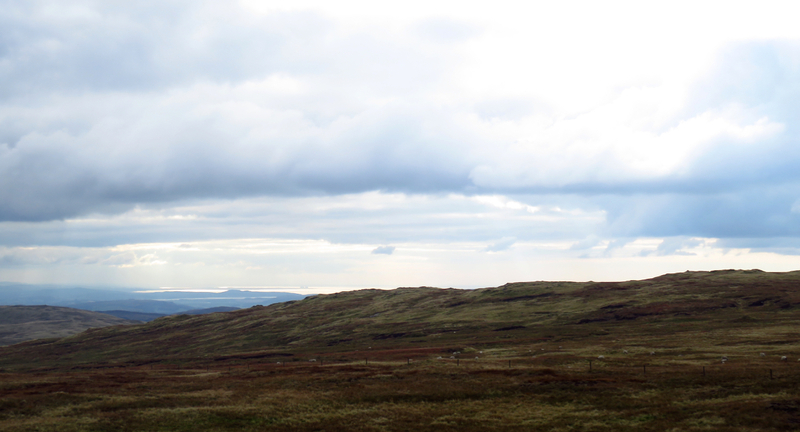 The upper reaches of Grey Crag as viewed from Harrop Pike, with Morecambe Bay visible behind. Picture taken on walk 102. Date climbed: First visit: 12th March 2012 (walk 53). Second visit: 7th September 2016 (walk 117). 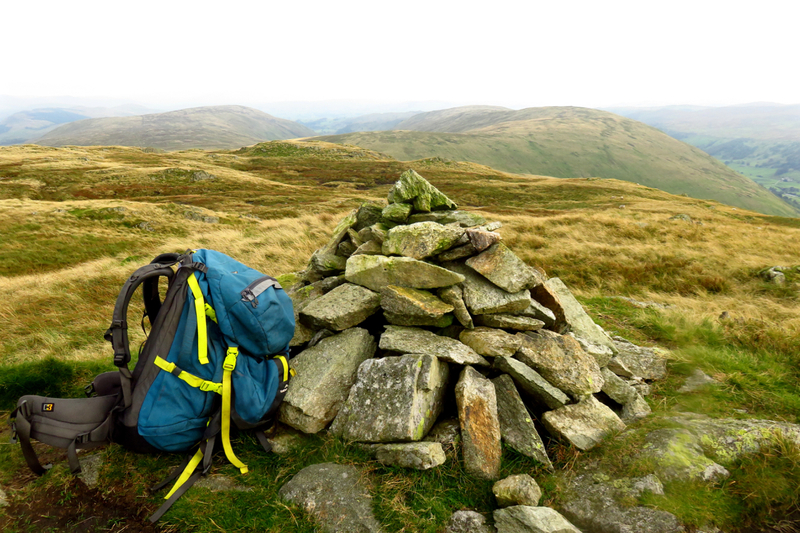 Route of ascent and descent: First visit: Approached via the ridge from Tarn Crag. Descended to Sadgill (then had to walk back from there to Staveley). Second round: Came up via one of the Bannisdale Horseshoe ridges, via White Howe (see page Grey Crag 5). Left on the route to Tarn Crag. What I say: On my first visit to the summit the very top of the fell was in cloud and I missed the view, which Wainwright (on p. 5) claims might be one of the best views in the country. On my second visit, I got it; and yeah, pretty good. There are more paths on it now than in Wainwright’s day which clearly makes it a more accessible fell, though do watch out for a really soggy peat bog on the way from it to Tarn Crag. Because so many of the Outlying Fells lie close by to Grey Crag, constituting its supporting ridges (namely the Bannisdale Horseshoe, Crookdale Horseshoe and Wasdale Horseshoe chapters), I have been in this area several times since, before actually revisiting Grey Crag’s summit. 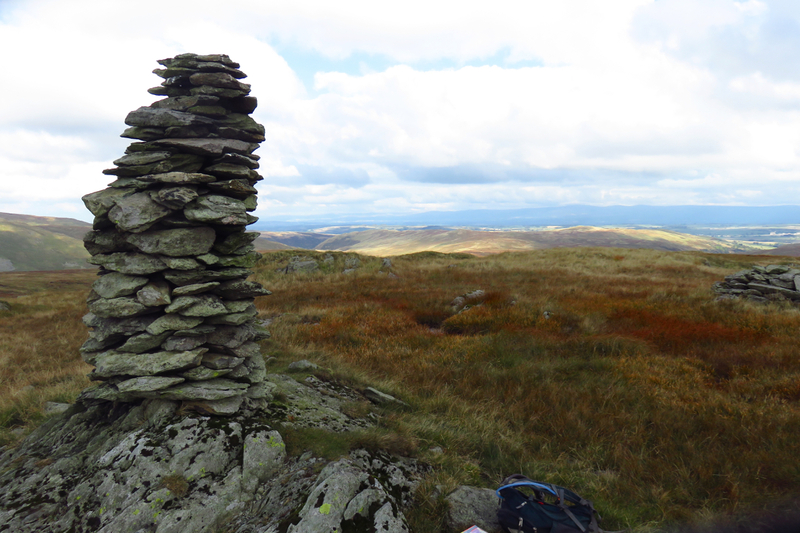 One can get quite near to it, for example, the cairn on top of Harrop Pike, close by (and pictured), on several walks. This is remote territory, but worth a visit on a clear day. The view is definitely good, although there are several I would rank higher (High Pike or Black Combe for instance). Not to be confused with: Gray Crag, with an A, which is not too far away.